GoXtra News: Shocking And Embarrassing Saga, So Says The Open Letter To Parliament! Shocking And Embarrassing Saga, So Says The Open Letter To Parliament! QUEST STAFFING SOLUTIONS IS OFFERING TO VERIFY THE QUALIFICATIONS OF SABC CHAIRPERSON ELLEN TSHABALALA FOR FREE AS A WAY TO SERVE THE NATION AND SAVE TAXPAYER’S MONEY. Over 50% of South African youth between the ages of 15 and 24 are unemployed - the third highest level of unemployment for this age group in the world. 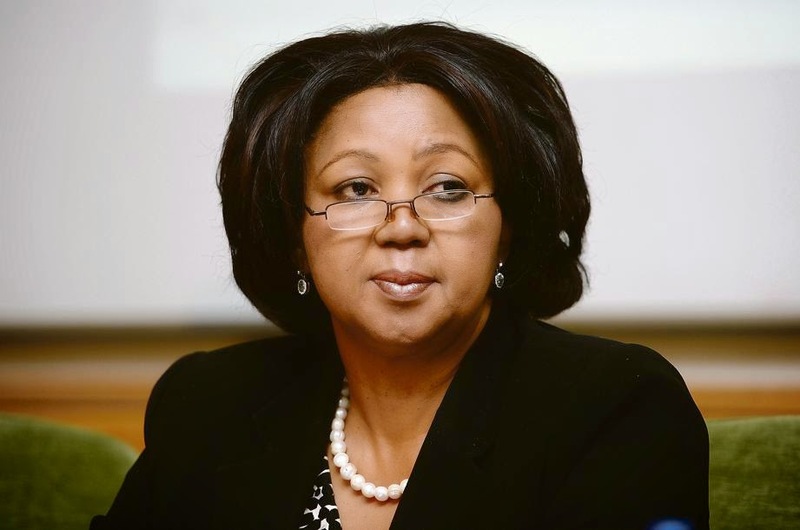 This is according to the World Economic Forum (WEF) Global Risk 2014 report and forms the backdrop to accusations that SABC Chairperson, Ellen Tshabalala misrepresented her academic qualifications. Quest - South Africa’s leading staffing solutions company within the white-collar recruitment industry - is deeply concerned about the message it sends to society (and youth in particular) that Tshabalala was able to secure a top position within a large state-owned organisation when she is unable to prove her claim of holding two tertiary qualifications. The WEF report also notes that the rising cost of higher education has left an entire generation - ‘the lost generation’ - with unpayable debt and little chance of finding a job. These ambitious students rack up tremendous student loans in the hope of graduating with a degree that will get them noticed by employers. Does the reoccurring theme of SABC employees standing accused of being unqualified for the position they fill not make a mockery of the South African education system and the plight of hard working students? With continuous exposure to this example, we risk the possibility of youth accepting and forming part of South Africa’s youth unemployment statistics rather than working to better their circumstances and beating unemployment through education. Quest recommends that public and private sector organisations alike, make use of proper screening and verification services when interviewing and on-boarding employees. What use is it to sort through hundreds of job applications if you are not going to follow up on whether the candidate really did obtain the required qualification as outlined in their CV? In the current Tshabalala saga, an undisclosed amount of taxpayer’s money has been used to facilitate Parliament’s communications portfolio committee in dealing with this particular case – flying and accommodating all relevant parties in Cape Town. All this when, for a fraction of the cost, companies like Quest are able to verify qualifications of candidates and current employees like Tshabalala in just one day. Quest verifies the qualifications of over 100 000 candidates every single year as part of our recruitment process. Let us do what we do best just as broadcasters and portfolio committees are left to do what they do best. Quest encourages the portfolio committee to make use of our services – at no charge – to put an end to wasting taxpayer’s money. To make matters worse, Tshabalala has recently been granted her interdict against the portfolio committee, forbidding them going ahead with the inquiry. She claimed she has the qualifications, if this is true, why is she unable to provide the certificates and close this unnecessary, shocking and embarrassing saga?